Geneva: The World Health Organization has said it is creating a panel to study the implications of gene editing after a Chinese scientist controversially claimed to have created the world’s first genetically-edited babies. “It cannot just be done without clear guidelines,” the head of the United Nations health agency, Tedros Adhanom Ghebreyesus, told reporters in Geneva Monday. “WHO is putting together experts and we are working with member states…to discuss the standards and guidelines that can cover the ethical and social safety issues,” added Tedros, a former Ethiopian health minister. Tedros said WHO was in the process of setting up the panel. He did not, however, characterise the initiative as a direct response to the Chinese trial. The panel will start with “a clean sheet,” Tedros said. “They can start by asking ‘should we even consider this?” The group will include academics as well as WHO and government medical experts, he added. 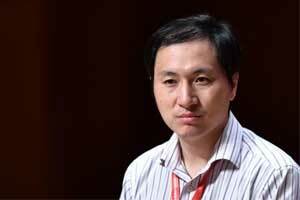 “We have to be very, very careful…We should not go into gene editing without understanding the unintended consequences.” Last week, the Chinese ministry of science and technology stressed its opposition to the gene-editing baby experiment, and demanded a halt to the “scientific activities of relevant personnel”. The Chinese scientist’s claims were “shocking and unacceptable” and breached “the bottom line of morality and ethics that the academic community adheres to”, vice minister Xu Nanping told state broadcaster CCTV, warning that it may have broken the law.